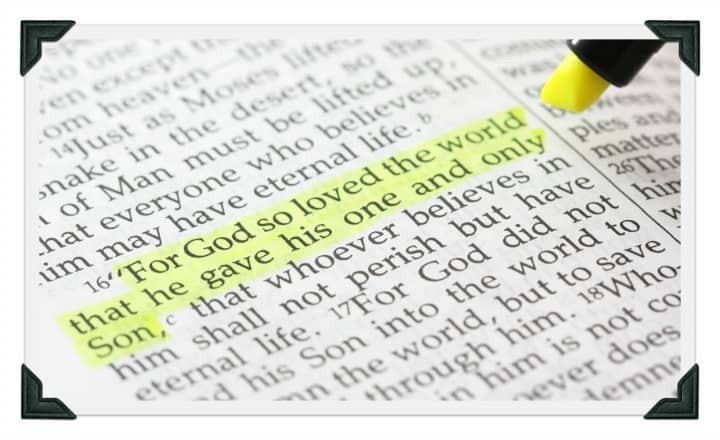 K-Love Radio may have started something a few years back when they called for Christians to celebrate John 3:16 Day. The basic idea was to use March 16th (3/16) to share the message of Jesus with others. The challenge was simple – Tell someone about God’s love today. I’ve already noticed a jump in people printing out out our John 3:16 coloring page. So I decided to pull together a few more ideas for anyone celebrating John 3:16 day with their kids today. I wouldn’t be surprised if some church groups do this tonight also. Why not invite your child’s school friends over for a pizza party. You could get a special cake made with John 3:16 and talk to them about what it means. You could use one of our teaching ideas below to share the Gospel. If you have church or AWANA tonight, make a point to give an evangelistic message. Sometimes this gets lost in the week-to-week planning for your ministry. Try this salvation object lesson or pennies coming clean or the wordless book. Sometimes the most effective witness comes from peers. Find ways to motivate your kids to talk about Jesus with their un-churched friends. Use this kids sharing the Gospel object lesson to get help them think in that direction. Sometimes well-meaning kids ministers forget the central points of the Good News. Read this article to make sure you’re not making that mistake. The most powerful example of kids sharing the Gospel happened in my own neighborhood. My son decided we needed to talk to our neighbors about Jesus. Here is the story and a simple plan you can follow. Use our free “Born Again” lesson plan and printable decoding the Bible verse worksheet. What better time to learn this key Bible memory verse. We’ve got some creative ideas for scripture memory to help. Tony Kummer (Editor) reviewed & updated this page on : March 20, 2016 at 8:21 pm. All our content is peer reviewed by our readers, simply leave a comment on any post suggest an update.